Georg Hager holds a PhD in Computational Physics from the University of Greifswald. He is a senior researcher in the HPC Services group at Erlangen Regional Computing Center (RRZE) at the University of Erlangen-Nuremberg and an associate lecturer at the Institute of Physics of the University of Greifswald. Recent research includes architecture-specific optimization strategies for current microprocessors, performance engineering of scientific codes on chip and system levels, and special topics in shared memory and hybrid programming. 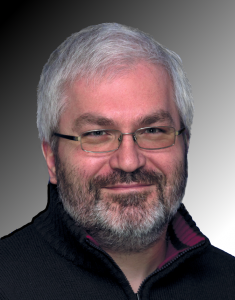 His daily work encompasses all aspects of user support in High Performance Computing like tutorials and training, code parallelization, profiling and optimization, and the assessment of novel computer architectures and tools. His textbook “Introduction to High Performance Computing for Scientists and Engineers” is recommended or required reading in many HPC-related lectures and courses worldwide. In his teaching activities he puts a strong focus on performance modeling techniques that lead to a better understanding of the interaction of program code with the hardware.